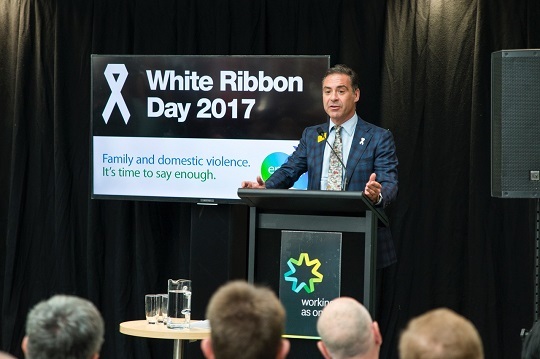 Television personality and White Ribbon Ambassador Andrew O’Keefe was a special guest at a joint Department of Human Services and Australian Federal Police event acknowledging the work of White Ribbon Australia and their campaign to prevent men’s violence against women. 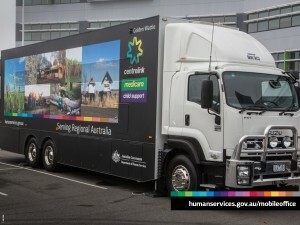 Department of Human Services Family and Domestic Violence Senior Leader Barry Jackson, spoke about the unique and crucial role the department’s frontline staff play in identifying people affected by family and domestic violence. “White Ribbon is an important campaign for our community,” Mr Jackson said. 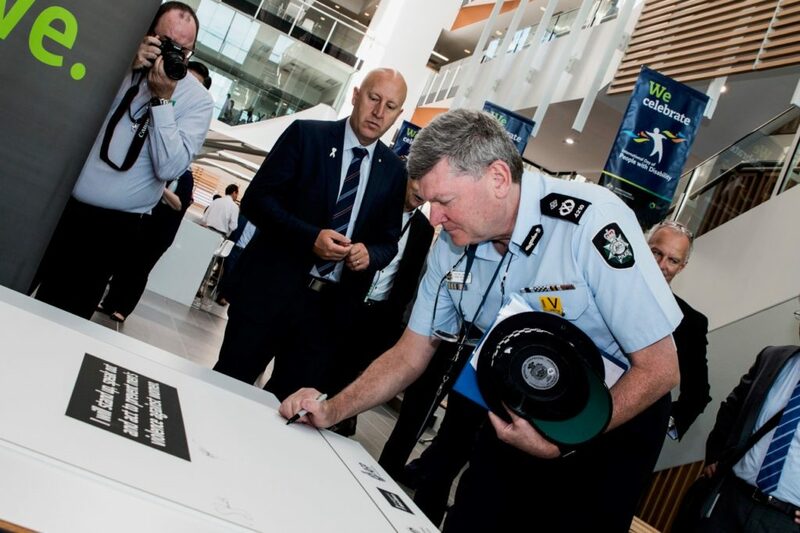 Staff from the Australian Federal Police and Department of Human Services signed a White Ribbon pledge. “I’m proud to work for a department that is taking positive action to support those affected by family and domestic violence. White Ribbon Day is a cause close to Mr O’Keefe’s heart, having brought the international campaign to Australia, and he spoke passionately about the great power that words and actions can have. “We need to have those important and sometimes difficult conversations about respect and restraint, with our friends, our colleagues and our kids, and to model what love and dignity really look like. Mr O’Keefe quoted 13th Century middle-eastern poet and scholar Rumi – who said “You are not a drop in the ocean. You are the entire ocean in a drop.” – and challenged the audience members to consider how they could all make a difference. “Every one of us is individually responsible for starting the cultural change that will end men’s violence,” Mr O’Keefe said. 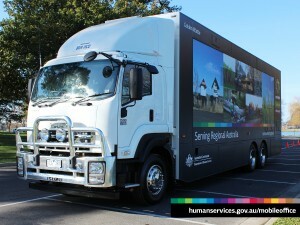 Find out more about the support the Department provides for people affected by family and domestic violence. 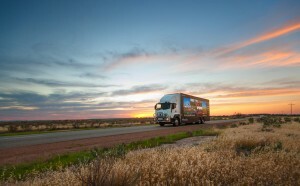 Read more about White Ribbon.